Happy Mother's Day to all the UK mothers (and also fathers that take on a mother's role)! I hope ALL of you are being spoiled and having a splendid weekend :) You are so deserving! I'm not a mom, but I happily received full size samples of Aveeno's Baby Wash & Shampoo and Daily Moisture Lotion in my welcome package (I'm a 2015 Aveeno Ambassador). I wanted to try these for myself, because I LOVE Johnson & Johnson's Baby Lotion (in the pink bottle)! I use it from time to time because it smells SO CLEAN, FRESH & POWDERY GOOD! Does anyone else use baby lotion for themselves? Hope it's not just me!?! HaHaHa Here are my thoughts about the Aveeno Baby products I received! Have you used Aveeno Baby Products on your baby? If not Aveeno, what products did you use? Enter my $25 PayPal Giveaway* below to buy Aveeno Baby Products for your baby. Open Worldwide! Kim! Aveena is one of the brands for baby products and after reading your review, I feel so thrilled to go smell them. I love the smell of baby products! My favourite is the smell of Johnson's yellow shampoo called No More Tears and also all Kodomo products. Babies just smell so good. And no you're not weird. I would love baby powder smell on myself too. I will have to see if we get this type of Aveeno here Kim! The wash&shampoo combined sounds like a good time and energy and money saver for baby haha! Kim, I'm pretty sure I've used both on all my kids:D Actually, we all still use the baby lotion once in awhile esp if the kids' eczema is acting up. Aveeno does make great products! What a cute giveaway. Happy Sunday. I love using baby products as well. The smell is very fresh indeed. In the worst coldest weeks of winter I use baby oil as body moisturizer and it does miracles! The effect was much better than any body lotion ever gave me. This Aveeno Baby line sounds really gentle. It'd probably be great for sensitive adult skin as well. Good luck to everyone! That's awesome Aveeno has baby products too Kim! I love baby scented things as well, but these sounds so nice. I bet the shampoo would make a great makeo brush cleanser too! 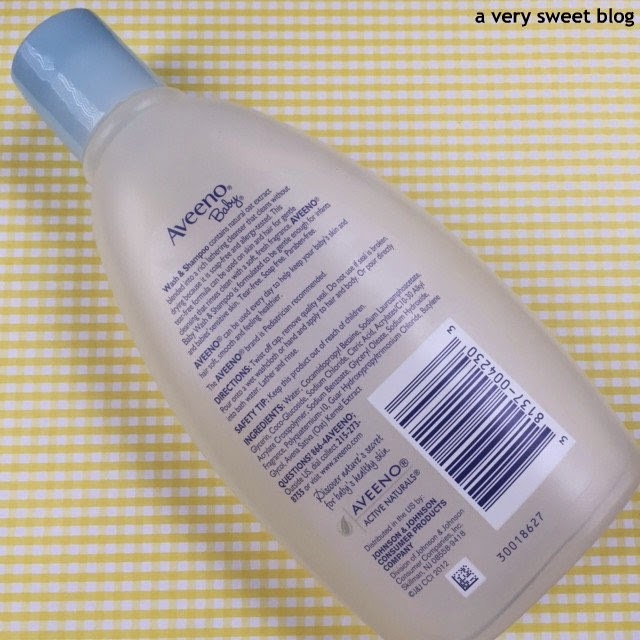 I haven't tried Aveeno baby products, but seem gentle enough to use on sensitive skin. I haven't used baby products on myself but it makes sense. They must be much better for our skins without those harsh ingredients in other products! Yes, I've used Aveeno baby products and they are wonderful. I used in the past Johnson and Johnson, but like Aveeno better. I'll admit, I mainly use the baby products cause of their scent and the gentleness on the skin. I've used a couple of Aveeno products, as well as Burt's Bees. Don't worry, Kim, it's not just you who use baby products, haha. Usually I use a baby soap for cleaning my brushes. I also use baby lotions. Unfortunately, I have never used Aveeno products, so I'll be more than happy to win these products. Nice giveaway! Me too Kim! Actually our whole family love Johnson's baby lotion. And I love Aveeno, I buy these for my kids too! So happy you got the card, like I said, nothing fancy, but I love the words on the card. Glad you like it! Funny but I use baby sunscreen of for my face, it is the only one that does not sting my eyes. I love Aveeno products! They don't put any extra 'junk' or harmful chemicals in their products. I tried aveeno baby eczema lotion. (I am pretty sure it was baby not regular).... I have not tried anything else for baby but I really want to! I just bought Aveeno positively ageless skin firming lotion for me and I bought Aveeno skin relief 24 hr moisturizing lotion.....My only favorite product for baby is the Johnson or target brand bath gel.... Thanks for the giveaway! Hi Kim, any baby products is always good. Love their thick lather and so moisturizing. Very safe for babies for sure. Yes, I like their Calming Comfort Bath. No, I've never Aveeno Baby Products. I usually use Johnson's. I love Aveeno Baby and seriously got my friend visiting from the US to bring some lotion and shampoo in her luggage! Haha, but really babies definitely have sensitive skin and my little one maintains baby soft skin with this lotion. Thanks for the giveaway! No, I haven't tried Aveeno baby products yet. We use and like Johnson's and Johnson's. I used Aveeno on both my babies. I love the scent. Wonderful giveaway,Kim! I thought we were the only ones with a different day for Mothers Day - other than may - ours is in December. One is never too grown up to use baby products. I've never used products on my girl when she was a baby other than biological skincare. Now I might start using Aveeno! 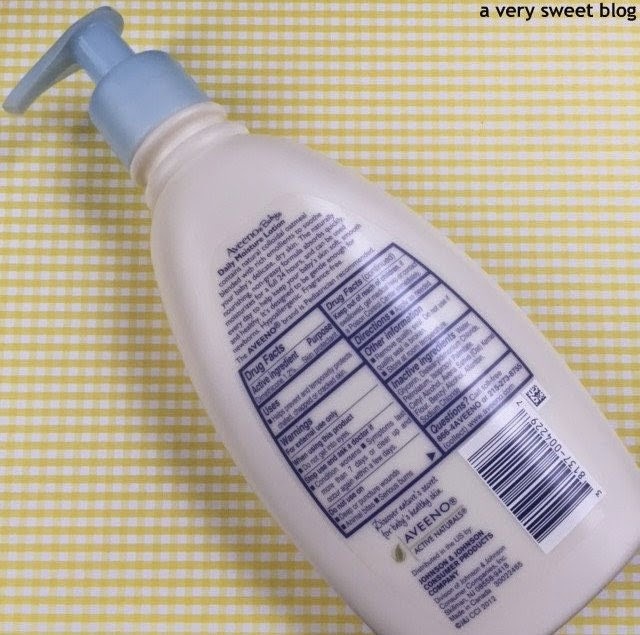 I have try the baby lotion and it works to heel my babies dry skin! Yes! I use the Daily Moisturizer on my 2 month old daily! I have not used the Aveeno baby products yet. I would love to have them for my grandkids. I know they could use them. 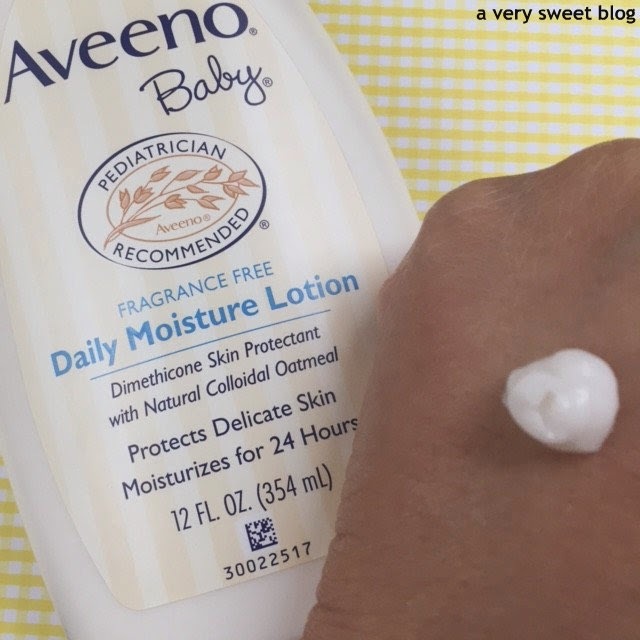 Have you tried Aveeno Baby Products? What baby products or brands do you like? I have not but my daughter has. She likes them. I use Aveeno lotion on my dry legs! yes, I have and Aveeno is one of our fave brands. I have not tried the brand, but I always see that recommend, imagine it must be very good products. I haven't tried Aveeno Baby Products, but I'd like to. I've used Johnson's Baby Products. I havent, but I would totally love to start! I have never tried Aveeno Baby products. I have extremely high hopes because the Aveeno brand in general is wonderful! I have not tried Aveeno.